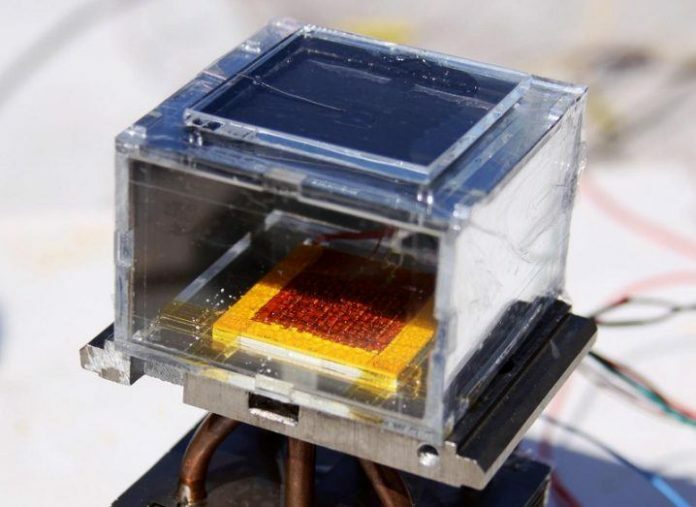 Scientists have created a device that can pull drinking water from the air using only the power of sunlight. 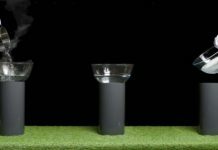 The water harvester is so effective that it even works well when humidity is as low as 20 percent—typical of many of the driest regions on Earth. 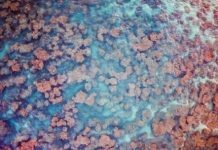 Yaghi invented compounds known as metal-organic frameworks (MOFs) 20 years ago, and now is using MOF crystals to harvest water even in dry places. In the water harvesting device, around two pounds of tiny MOF crystals are compressed between a solar absorber and condenser plate to collect around 0.7 gallons of water in 12 hours. Right now there’s no other way to harvest water in low humidity except to draw on extra energy, according to Yaghi. “Your electric dehumidifier at home ‘produces’ very expensive water,” he says. In contrast sunlight enables the new device to work. Rooftop tests at MIT have already demonstrated the device works in the real world.